Those are among the real safety, social and commercial impacts that communities across the country are starting to feel as the Canadian Coast Guard's fleet gets older, according to new documents obtained by The Canadian Press. And the problems are expected to get worse: the documents warn that more than a third of the coast guard's 26 large vessels have exceeded their expected lifespans, and many won't survive until replacements arrive. "Vessels are at increasing risk of unrecoverable failure," reads one PowerPoint presentation prepared by coast guard officials last summer and marked "secret." "Many ships will not remain operational until their replacements arrive." They come amid questions about how and when the government will replace the coast guard's existing vessels. Only five new coast guard ships are currently included in the government's multibillion-dollar national shipbuilding plan. The PowerPoint presentation is particularly frank in its assessment of what it describes as the "early impacts of an older fleet coupled with increasing demand" that are already visible. "Over the past four years, lengthening repair periods and unplanned outages have temporarily reduced coverage in all four offshore search-and-rescue areas in Atlantic Canada," reads one section. The coast guard has also lost nearly $2 million in navigational buoys in recent years "because they could not be removed due to ship availability and ice conditions," the presentation adds. Ferry services have been interrupted — specifically Marine Atlantic's operations serving Newfoundland — and commercial ships have been left waiting for days for icebreakers "at significant costs to industry." Canada has also failed in recent years to meet its obligations under the Northwest Atlantic Fisheries Organization for fisheries conservation and protection "due to repair and maintenance issues," the presentation says. "I don't know why they couldn't have arranged an icebreaker," John Holland, senior administrative officer for the hamlet of Paulatuk, told The Canadian Press in October after one scheduled sea lift was cancelled. 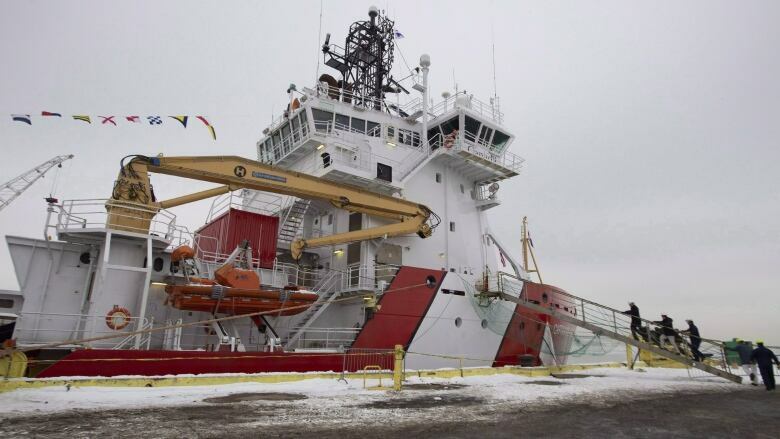 The coast guard has a long history of being overlooked and ignored in political Ottawa, which is one of the key factors in the age of the agency's fleet, said Rob Huebert, an expert on the Arctic at the University of Calgary. "We have talked in the past about an older coast guard fleet and that there are problems [but] we can't get into details because the details are never presented," Huebert said. "This is the actual reality. This is what is happening." Asked about the documents this week, Fisheries Minister Jonathan Wilkinson said in a statement the fleet "remains reliable" and the federal government "takes the renewal of the coast guard fleet seriously." "We will continue to look at solutions so that Canadians can continue to receive the services they need," Wilkinson added. Seaspan was supposed to deliver the first of three fisheries-science vessels in early 2017 before problems were found with the ship's welding. It then crashed into a breakwater last month while returning from its first test run at sea. Seaspan has also been tapped to build two new supply ships for the navy, the first of which won't be delivered until at least 2023. 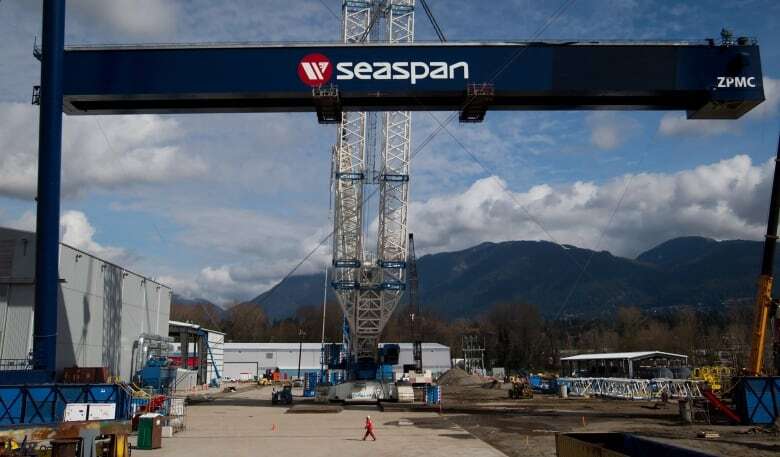 Davie, however, has pointed out that Seaspan won't be able to start work on the ships for years and wants the government to shift the business to Davie.